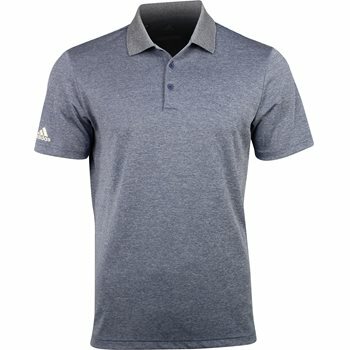 The soft, lightweight fabric of the adidas Performance Heather Golf Polo is guaranteed to make you feel comfortable. Whether you''re on the course or on the go, the moisture-wicking fabric keeps you cool and dry. This 100% polyester polo features the adidas logo on the left sleeve and a 3-button placket.